The French connection. 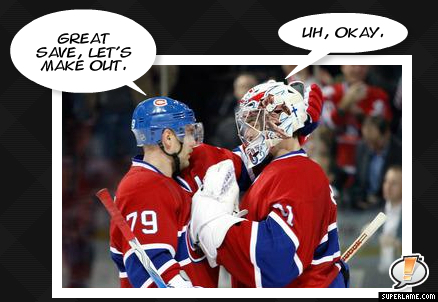 The secret behind the Habs great chemistry. Nothing can quite compare to the relationship between a defense man and the goalie.